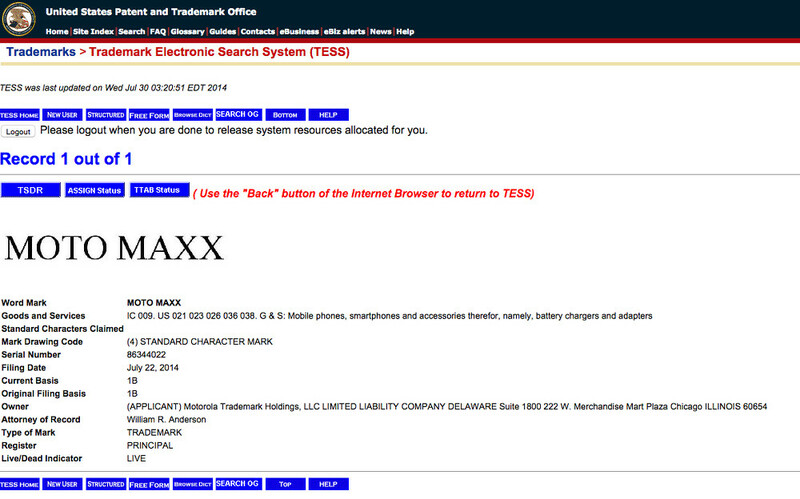 Motorola recently filed for a trademark of the name “Moto Maxx,” a name that could be used in a new smartphone. For those new to the name “Maxx” and Motorola, just know that the tag when attached to a phone usually means massive battery life. Does this mean the Moto line, which currently includes the Moto X, Moto G, and Moto E will also get a battery-beast brother? The filing doesn’t state much other than the name, but that name certainly tells us quite a bit. Over the past couple of years, we have seen the DROID RAZR MAXX HD and the DROID MAXX, both of which offered leading class battery life. Not seeing the name “DROID” in this filing could mean that Motorola plans to add extended battery life to an upcoming variant of the Moto X. That’s a guess of course. A Moto X with DROID MAXX battery life, does it get any better than that? Sid Goswami is a tech enthusiast, besides being an avid Android fan and blogger, Sid wants to be a photographer and a designer. He can usually be found reading through blogs, taking photos. He's a student and a PHP web developer.